Paul Delaroche (Paris, 17 July 1797 – 4 November 1856) was a French painter who achieved his greater successes painting history. 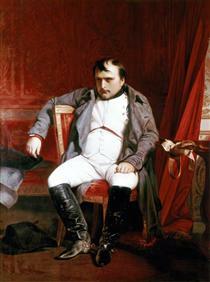 He became famous in Europe for his melodramatic scenes that often portrayed subjects from English and French history. The emotions emphasised in Delaroche's paintings appeal to Romanticism while the detail of his work along with the deglorified portrayal of historic figures follow the trends of Academicism and Neoclassicism. 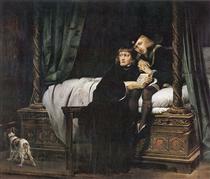 Delaroche aimed to depict his subjects and history with pragmatic realism. He did not consider popular ideals and norms in his creations, but rather painted all his subjects in the same light whether they were historical figures, founders of Christianity, or real people of his time like Napoleon Bonaparte and Marie-Antoinette. 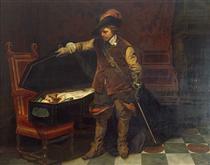 Delaroche was a leading pupil of Antoine-Jean Gros and later mentored a number of notable artists like Thomas Couture, Jean-Léon Gérôme, and Francisque Millet. 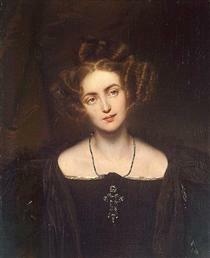 Delaroche was born into a generation that saw the stylistic conflicts between Romanticism and Davidian Classicism. 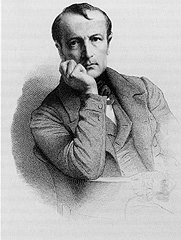 Davidian Classicism was widely accepted and enjoyed by society so as a developing artist at the time of the introduction of Romanticism in Paris, Delaroche found his place between the two movements. 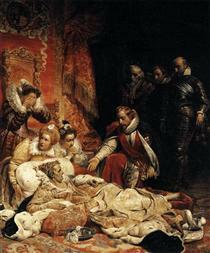 Subjects from Delaroche’s medieval and sixteenth and seventeenth-century history paintings appealed to Romantics while the accuracy of information along with the highly finished surfaces of his paintings appealed to Academics and Neoclassicism. 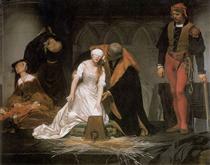 Delaroche’s works completed in the early 1830s most reflected the position he took between the two movements and were admired by contemporary artists of the time—the Execution of Lady Jane Grey (1833; National Gallery, London) was the most acclaimed of Delaroche’s paintings in its day. 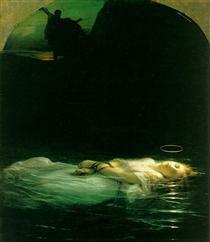 Later in the 1830s, Delaroche exhibited the first of his major religious works. 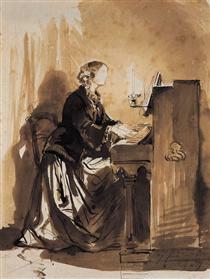 His change of subject and “the painting’s austere manner” were ill-received by critics and after 1837, he stopped exhibiting his work altogether. 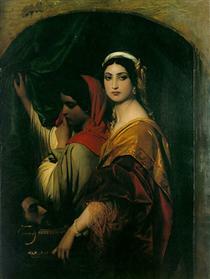 At the time of his death in 1856, he was painting a series of four scenes from the Life of the Virgin. Only one work from this series was completed: the Virgin Contemplating the Crown of Thorns. He was born, worked, and died in Paris. Paul was also member of the petty lord de la Roche family. His studio was in the rue Mazarin. 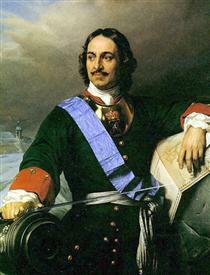 His subjects were painted with a firm, solid, smooth surface, which gave an appearance of the highest finish. 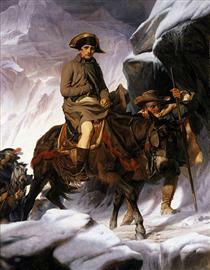 This texture was the manner of the day and was also found in the works of Vernet, Ary Scheffer, Louis Léopold Robert and Jean Auguste Dominique Ingres. Among his students were British landscape artist Henry Mark Anthony, British history painters Edward Armitage and Charles Lucy, and American painter/photographer Alfred Boisseau (1823–1901). 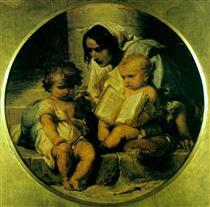 A Child Learning to Read Paul Delaroche ? 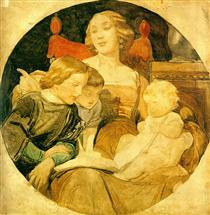 A Family Scene Paul Delaroche ? 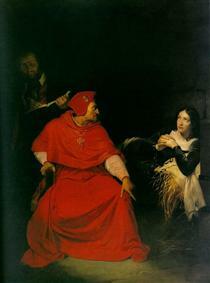 Cardinal Mazarin Dying Paul Delaroche ?